Look !! 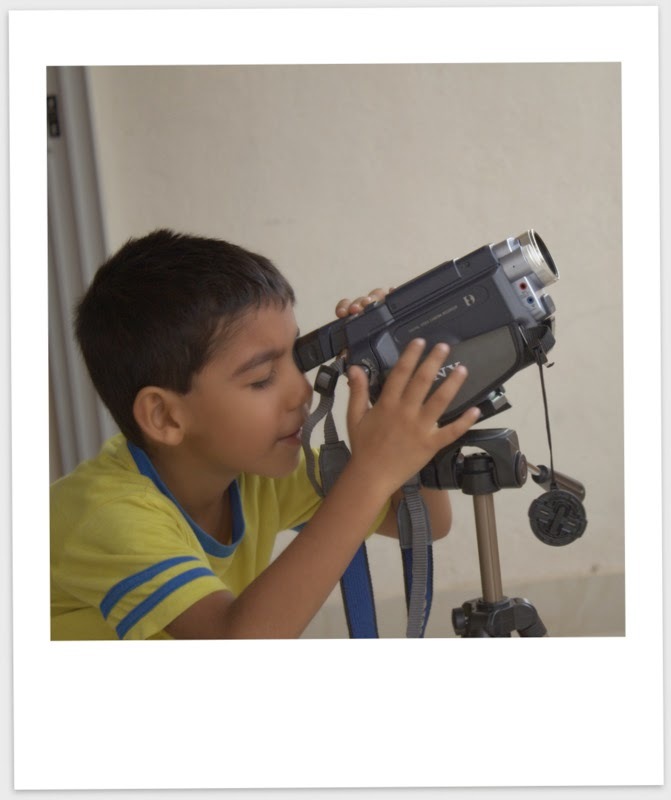 What I found Junior doing on a bright sunny afternoon with our old Handycam..."I'm trying to see the Sunspots with my telescope " he said nonchalantly . We, humans, have always been fascinated by the wonders of the Universe - the Sun, the Moon, the Stars and beyond. They have been a part of our tradition, folklores for centuries. We consciously or at times unconsciously , pass this curiosity of ours on to our children. We love showing the magical night sky to them.Their attentive eyes follow our fingers when we trace Orion, the Hunter constellation. Together we watch the bright Full moon from our bedroom window and tell "Moon will watch over you "as we kiss them Good Night. Sun, Moon and Stars figure in our lullabies.We tell them stories about the Sun and the Moon giving them humanly character. 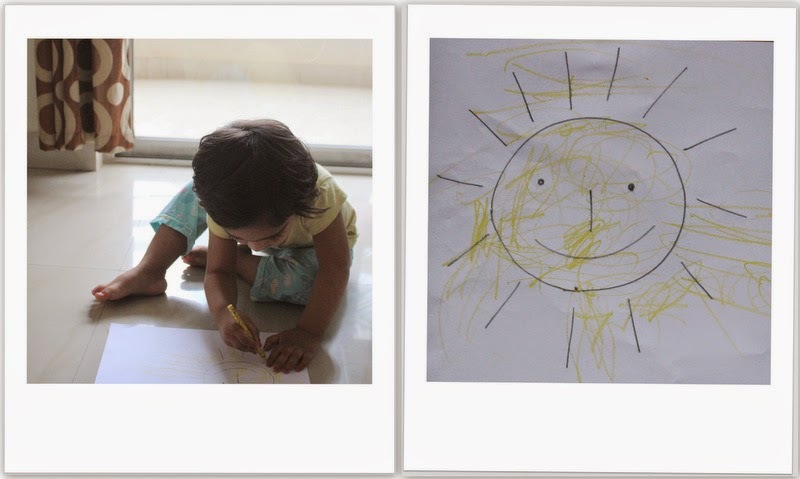 Among the first things that we teach our kids to draw is the Sun with a smiling face and Moon with a long chin. Then, one day the little Pre -schooler comes home and excitedly tells " Mama, Man has been to moon, Neil Armstrong has been there !!! Let us begin by introducing the child to our friend Moon and Man's First Step on Moon, first. This beautifully illustrated picture book is a nice way to tell children, what it would be like to go to Moon, walk on it and see our wonderful world from far, far away. It brings astronauts, their rockets and their way of work into the child's world. A mouse, rabbit and chicken go on a moon mission on their rocket. As the name suggests the books tells a little more about the rocket - its journey to moon and back to earth, the lunar lander, the zero gravity feeling inside the rocket etc. Imagine all this conveyed wonderfully through pictures for our little ones. For the children who can read fluently, the next book will further boost their interest in space travel vehicles. It briefly describes rockets -its types and stages,the Apollo spacecraft and the Moon Mission, Hubble telescope, different types of satellites, space probes, astronauts life and work in space . It is easy to read and comprehend for young readers. The detailed illustrations compliment the available informations beautifully. In my opinion,these three books are like stepping stones leading our curious children into the world of space travel.